Now that school is in full swing, turn your focus to your big goals for the school year. Use these tips and Teacher Peach’s freebie download to help you set your big goals for the school year. Every class in every school in every year comes with its own special twists and needs. Build your goal-planning process by considering the unique challenges this school year presents. Set or revise your goals after you get to know your students. Set milestone goals for the execution of your plan. This will help you to sketch a visual for the school year. 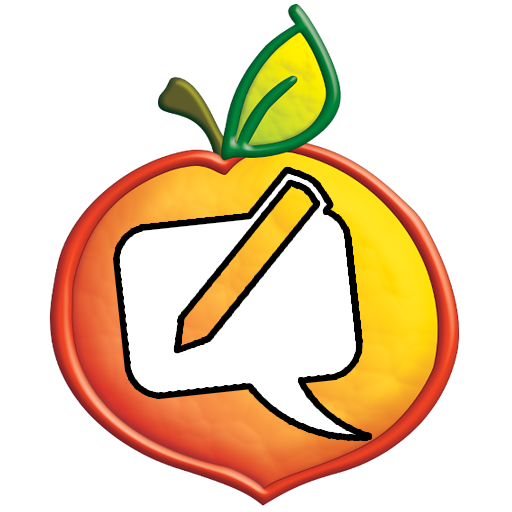 Visit Teacher Peach’s booth at the 2015 Illinois Reading Council Conference in Peoria, IL, on October 1st and 2nd. Come check out our products, register for raffles, and pick up discount codes for purchasing our products. For more about the conference, visit http://www.illinoisreadingcouncil.org/conference.html. For more about Teacher Peach, visit http://www.teacherpeach.com/. One of the most important social and emotional issues affecting schools today is bullying. It’s an issue that has gotten a lot of press over the past few years. As a result, many programs and resources about bullying behaviors and bullying prevention exist. A simple Internet search can net you an overwhelming amount of resources about bullying. These resources can take a while to vet. But you can get started on creating a bully-free classroom by implementing a few basic ideas now while you research an overall bullying prevention philosophy. To create a bully-free environment in your classroom, first teach students what bullying behaviors look like. Research states that bullying behaviors can be physical or emotional. Bullying behaviors can also be direct or covert. To learn to identify these behaviors, students must see examples of what the behaviors look like. Teach the examples of these behaviors through different avenues. The best ways to show students examples of these behaviors is to role-play situations or to show videos of role-plays of the situations. Showing videos is probably safest way to show examples because the videos can be vetted and controlled. A live role-play can quickly go in an undesired direction, so if you use live role-play, make sure the participants can be trusted to keep the role-play on track. Make your classroom a bully-free zone by creating an environment that reinforces positive behaviors. Once you’ve identified bullying behaviors, consistently model and reinforce those positive behaviors. Teaching children the appropriate ways to behave and interact, and giving them positive reinforcement for doing so, is one of the strongest tools in creating a bully-free environment. Create and display guidelines for your expectations of behavior in your classroom. Emphasize the positive with your list. If you’re tempted to put negative behaviors, take a step back and think of what the desired, positive behavior would look like. Capture that positive behavior as your guideline. Make your list of behavioral guidelines appropriate to your age group. (Think about a list of 3–5 guidelines for younger students and 8–10 for older students.) When you observe students properly adhering to one of the guidelines, acknowledge the behavior so that students can associate the behavior with the specific guideline. When you post your guidelines, be sure to make the list large enough to be seen from all parts of your classroom. Write the list on large poster board in Sharpie markers. If you’re looking for a good set of markers, check out the Sharpie Marker Set from Teacher Peach. Use the multiple colors to create a powerful set of guidelines. Display the list in a prominent placement in your classroom. Add to the positive environment with these stress balls that tell students to be quiet, be calm, and be kind. Use the stress balls to help reinforce positive behaviors with students. 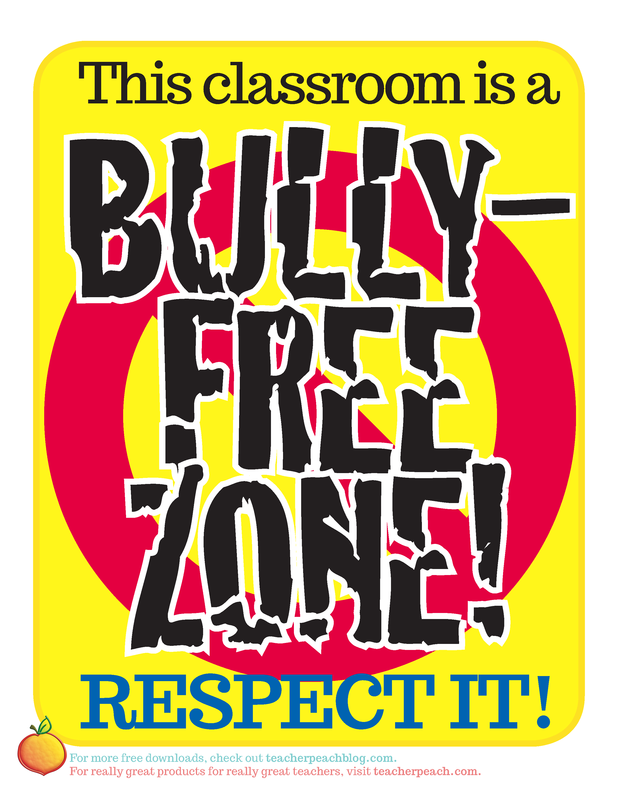 Finally, broadcast that your classroom is a bully-free zone by placing this freebie bully-free zone poster on your door. To further make your classroom a bully-free zone, teach and post steps for reporting bullying behaviors. Teach students the appropriate steps they should go through to report a bullying behavior. Make sure the steps you post align with the steps dictated by your school. After you have gone over the steps, post the list in your room. This list should be smaller than the guidelines poster you make—you still want to keep the emphasis on the positive. What bullying prevention ideas do you put to use? Which websites do you find to be invaluable resources about bullying prevention? Let us know. One of the best ways to grow as a teacher and prepare for your evaluations is to seek out peer reviews. The feedback received from your peers could be invaluable in making your classroom more effective and better preparing you for your formal evaluations. Invite a trusted peer into your classroom and work together to maximize the brainpower that goes into making your classroom the best that it can be. Before your peer observation, use this list of questions to help you prepare your lesson and to prepare your peer for what he or she is about to observe. When an observer has the answers to these questions, he or she will be able to make learned observations and provide more directed feedback. This kind of analytical preparation is key to the peer observation process. When one of your peers has agreed to observe you and provide you with feedback, be sure to thank him or her for his or her efforts. A perfect way to say thank you is with Teacher Peach’s Partner Thank You Cards. Or if this person has provided you with a lot of help over the years, perhaps a stylish tote bag or a functional lunch accessory would be an even better thank-you gift. In future blog posts, we’ll give you some more forms that will help you with a peer evaluation process. Check back often to make sure you don’t miss any of our freebies. Because Go-to-School Night is so important to fostering the best possible connections with the family members of your students, we’ve created five more winning strategies for a great Go-to-School Night for both the families of those in your class this year—and you! Check out these five additional winning strategies that many teachers use to reduce their stress about this impactful 90-minute session. For many teachers, Go-to-School Night is stressful, exhausting, and nerve-wracking. While some veteran teachers know exactly how to craft an impeccable 90-minute experience for the important adults in the lives of their students, this one evening can be extremely draining for many new and seasoned teachers alike—and it’s on a school night! So, to help you get the best results from your Go-to-School Night, check out these Five Winning Strategies.